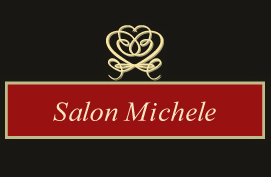 At Salon Michele, we’ll give you a haircut that not only looks great when you leave our salon, but leaves you looking great well after you leave! We’re a full-service salon offering our customers haircutting and styling services from a staff of six well-trained professionals that are here to get you any style or cut you are looking for, including all of the latest trends and utilizing all of the newest techniques. We also specialize in highlights, colours and updos for weddings and special occasions, and we feature an on-site spa offering many relaxing services including pedicures, manicures, facials, laser hair removal and more. Mac students get 20% off of all services with their university ID – Give us a call at 905-528-6064 for more details or to schedule an appointment!